A recovery of the highest order saw Afghanistan beat the Irish from an improbable position courtesy of a partnership between Mohammed Nabi and Rashid Khan as they gained the upper-hand in the ODI series. It all comes down to the final ODI with Afghanistan looking to complete their World Cup preparations with another solid performance while Ireland hope to level the series as they seek to build towards the future. With the final ODI also set to take place in Dehradun, another competitive match is on the cards as the Ireland batters try and combat the Afghan spin threat on Sunday. Mohammed Shahzad is in line to replace Ali Khil and should return to the top of the order alongside Hazratullah Zazai while Noor Ali Zadran could make way for either Shenwari or Zahir Khan. The rest of the side should remain the same with Rashid and Mujeeb performing impeccably throughout the series. Zazai, Shahzad(WK), Rahmat, Ashgar (C), Nabi, Naib, Najibullah, Rashid, Zahir/Shenwari, Aftab and Mujeeb. No changes are expected of the Irish for this do-or-die game. Their batters have struggled to get a hold of the Afghan bowlers and will be looking to bide some time at the crease before changing gears. Captain, William Porterfield looked in good touch before perishing to Aftab Alam and should be one to watch out for in the decider. Porterfield (C), Stirling, Balbirnie, Simi, Kevin, Dockrell, Poynter(WK), McBrine, Murtagh, Cameron and Rankin. Apart from the first ODI, where the Irish weren't able to apply themselves against the likes of Mujeeb and Rashid, the pitch has played well with scores in excess of 250 achieved in the succeeding three innings. The fourth ODI saw the bowlers dominate with Rashid and Mujeeb amongst the wickets. Spinners are to play a major role in the middle overs with turn on offer while the pacers should also get some help early on. Wicket-keeper: Uncertainty over who would keep wickets for Afghanistan leaves us with only one viable option in Stuart Poynter. Poynter gave a account of himself earlier in the tour and could come up with a good knock in the final ODI. Batsmen: Hazratullah Zazai, Andy Balbirnie and Paul Stirling are must have players in the side while the likes of Rahmat Shah and William Porterfield are more than capable of filling in for the aforementioned trio. Zazai is yet to showcase his best and could treat fans to a master-class. All-rounders: Mohammed Nabi was pivotal to Afghanistan's recovery in the previous match and should be backed to perform once again. George Dockrell and Gulbadin Naib are also more than handy options to have with their skill-sets able to bring in valuable points on a consistent basis. 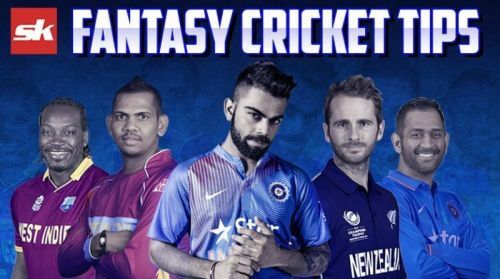 Bowlers: Rashid Khan and Mujeeb ur Rahman pick themselves in the side while one of Rankin or McBrine should suffice in rounding of the fantasy team. Aftab Alam is also a viable option and could be included at the expense of Mujeeb. Captain: Hazratullah Zazai is one of the front-runners for captaincy with his penchant of destruction yet to make a mark on this series. Along with him, Paul Stirling and Rashid Khan are also worthy of being appointed as captain.